Okay so I am really into our office social media. I don't know if it's because I miss being enthralled in Facebook and Twitter as much as I used to or what. Whatever it may be I am trying to get my fix of social media, thus coming up with content for our agency's Facebook page. 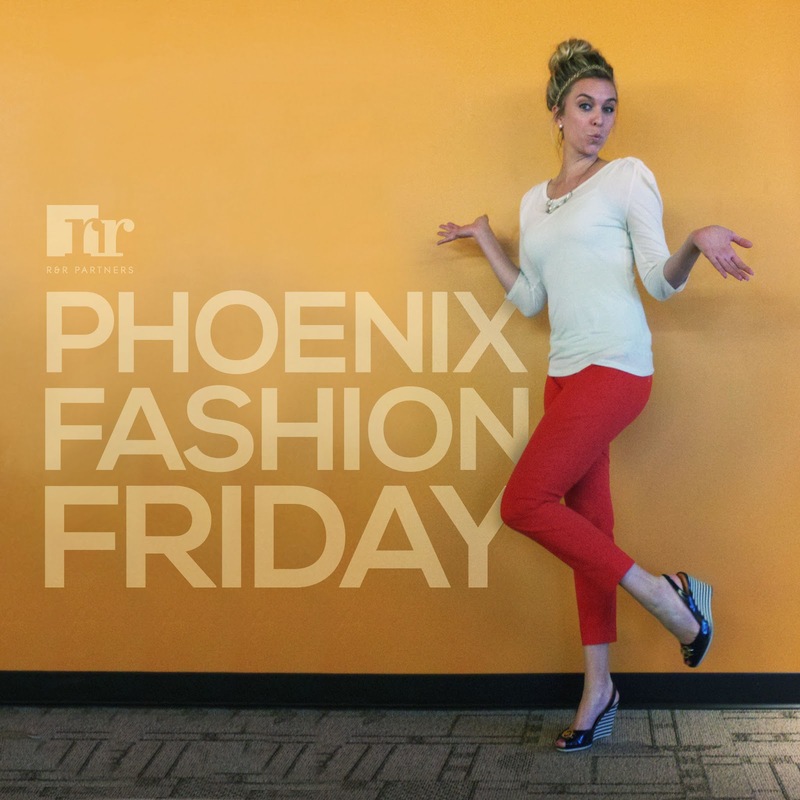 My first installment is Phoenix Fashion Fridays. Our AEs dress so amazingly I felt it necessary to document it. So every Friday, until I get bored with it, you will see one of our amazing AEs and the clothes on their back that day. Above is Linda. She is great. Super bubbly and a little clumsy (okay a lot) she makes the office super bright with her great personality and giant smile. Hope your Friday is as fun as ours.